Just the last time I posted the chocolate brownie recipe, I had written about the origin of brownie, where someone ran out of baking powder and the flat cakes came into existence. Then, a school friend of mine requested for an eggless version of the brownie. Over the weekend, I tried a couple of recipes, all within the framework of a brownie, i.e without baking powder. But they tasted rather flat. Now how bad can a mixture of flour, butter and sugar baked together taste? Not that bad. Ever. I agree. But the experimental brownies lacked the zing. There needed to be something replacing the moistness that comes with egg, but it shouldn’t taste like raw clumsy batter. I tried adding curd, then some milk. It tasted like yoghurt. Out. Then some sweetened condensed milk. It got very sticky. Out. Then half a cup mashed banana and some hot water. That felt right. But still something was missing. Then I added some baking powder. 1 teaspoon of it and just a tiny 1/4th teaspoon of baking soda. It worked very well. Now we are talking of some brownie heaven. 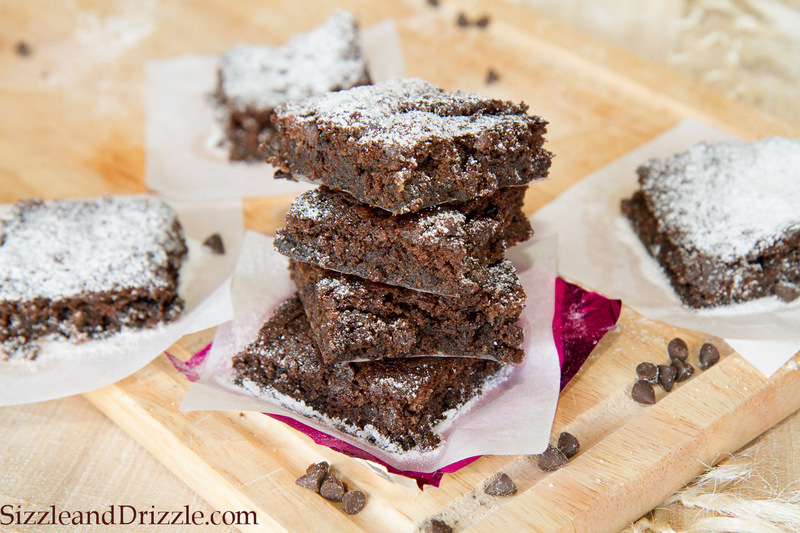 After 3 alterations, I settled down on this perfect eggless version of brownies. Albeit, with baking powder. I am experimenting with a lot of eggless version of cakes and cookies. Promise to come back with more.